Go ahead, drop your cash (hello, tax refund!) at one of these pricey Chicago shops. Unlike some other chains that have invaded the Chicago shopping scene over the years, AllSaints isn’t about of-the-moment, ripped-off-the-runways fashion. 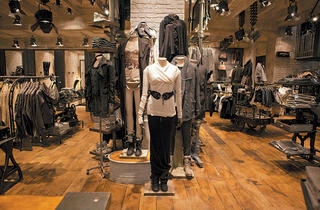 Instead, the hip British men’s and women’s store features higher-quality, classic clothing in muted colors. 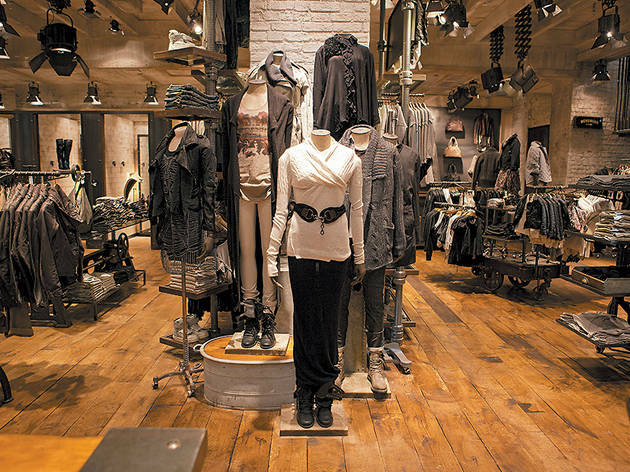 The shop stocks full-skirted dresses, skinny jeans and cool asymmetrical sweaters for ladies. Guys will find rumpled button-down shirts, faded blazers and graphic T-shirts. As for the decor, it’s a rustic heritage vibe with exposed brick and ram skulls (which are part of the store’s logo), as well as vintage printing presses and sewing machines. 700 N Michigan Ave (312-283-0400). Barneys has transferred its New York City sophistication lock, stock and barrel to Chicago. Professionals and socialites head here (the department store moved to these bigger, fancier digs across the street from its original outpost in April 2009) for top designer and private-label clothing, jewelry, bags, shoes and accessories. 15 E Oak St (312-587-1700). You’ll need to be buzzed in to browse the pricey frocks from Dries Van Noten, Marni and others, but the selection is worth the initial awkwardness. That said, the easily intimidated should head elsewhere, as the staff’s attitude can be just as chilly as the shop’s stark interior. 212 W Chicago Ave (312-202-0047). 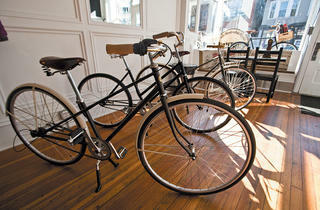 This luxury French retailer opened in the renovated Esquire Theatre building late last year. Those famous red-soled shoes are displayed like pieces of art (and the price tags easily can go toe-to-toe with any collectible painting). Guys looking to get in on the Louboutin action should head upstairs for the selection of red-soled men’s shoes (Justin Timberlake recently wore a pair on SNL). 58 E Oak St (312-337-8200). Unlike his previous shop, Bonnie & Clyde’s, store owner Stephen Naparstek’s newest concept focuses exclusively on menswear by high-end designers. 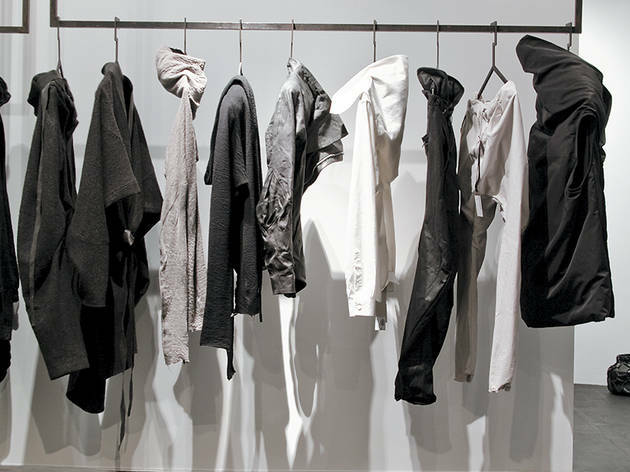 Look for items by Rick Owens and Raf Simmons, as well as art books, fragrances and visual art by a rotating cast of artists. For guys who could use an assist in the aesthetics department, the shop comes to the rescue with styling services and recurring art seminars. 46 E Oak St, fourth floor (312-265-1883). 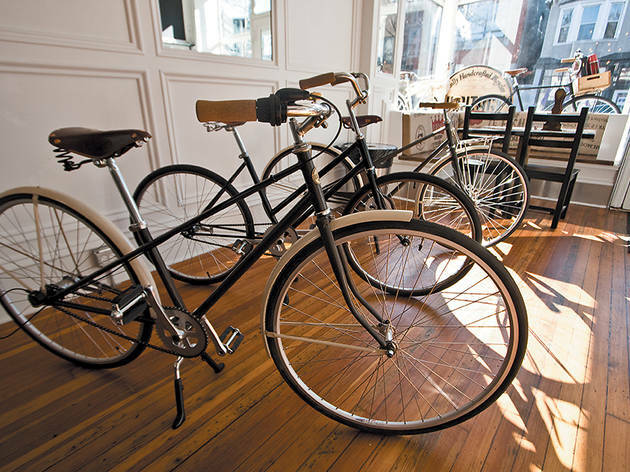 When you choose a custom ride at Heritage Bicycle General Store, you have a few extra decisions to make—including regular or decaf. This Lakeview shop isn’t your typical bike store: It’s disguised as a coffee shop featuring Stumptown java and pastries by Southport Grocery. In addition to treats and high-end bikes (which you can watch being built on-site in the back of the café), the shop also features a small selection of clothing, gear and Winter Session accessories. 2959 N Lincoln Ave (773-245-3005). The relocated Ikram barely had been open a week in 2011 when it earned a nickname: the Red Box (thanks to the store’s bright ruby exterior). 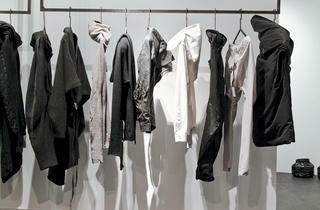 Just like the original outpost, Ikram carries high-end emerging and established designers. But just as owner Ikram Goldman has become more high profile, the store takes things to the next level with a café that serves lunch, a housewares section and an art gallery. 15 E Huron St (312-587-1000). Best known for its ultraflattering, expensive yoga wear, the Canadian-based brand also carries a surprisingly large selection of running attire for men and women. Find pieces such as frilly zip-up vests, graphic sports bras and the signature backside-enhancing bottoms for the ladies—plus brightly colored, monochromatic shirts and shorts for the guys. Locations throughout the city. 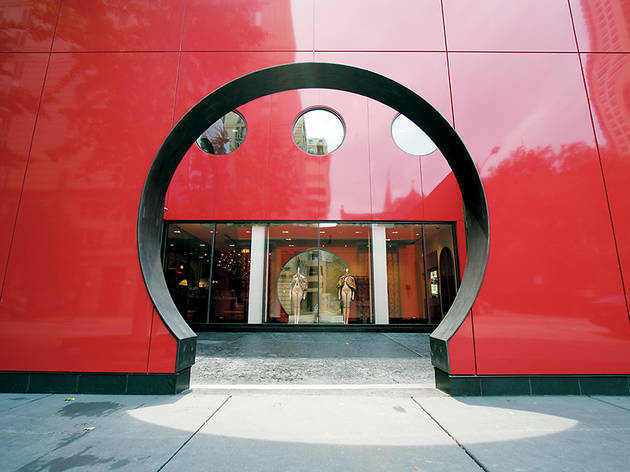 Back in 2008, when the Marc by Marc Jacobs boutique opened in Bucktown, company president Robert Duffy told us he was scouting Chicago locations for the higher-end Collection. And, of course, it doesn’t get much higher end than the Waldorf Astoria hotel in the Gold Coast. 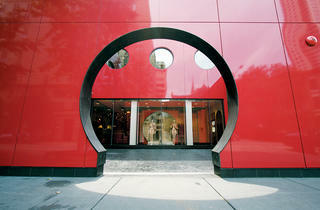 It’s a natural fit to find the shop (which opened in spring 2010), situated at the base of the posh hotel. In addition to MJ’s top-of-the-line women’s, men’s and children’s designs (including a nice selection of shoes, fragrances, art books and even some less expensive Marc by Marc items), the boutique also boasts a classy purple-and-gold glass tile mosaic designed by Stephan Jaklitsch Architects. 11 E Walton St (312-239-2330).